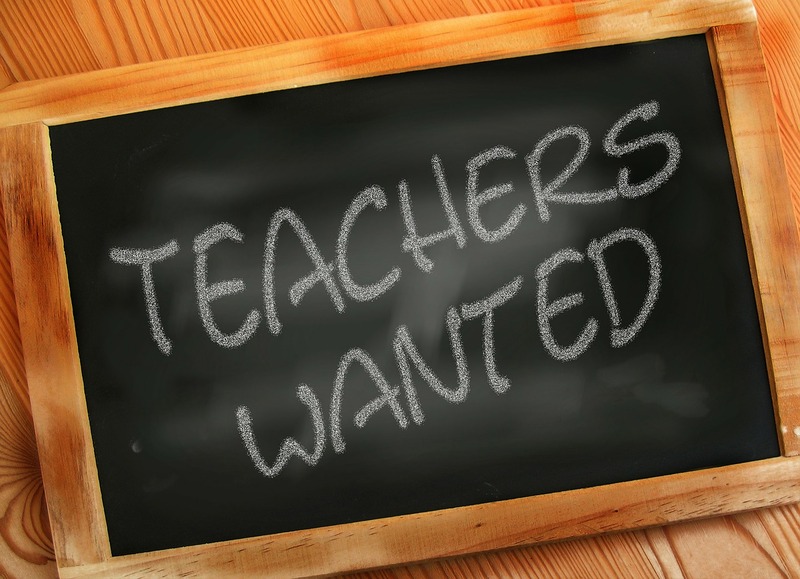 This is the time of year when lots of schools right across the country are holding open days to let parents and children see what they can offer in terms of education. 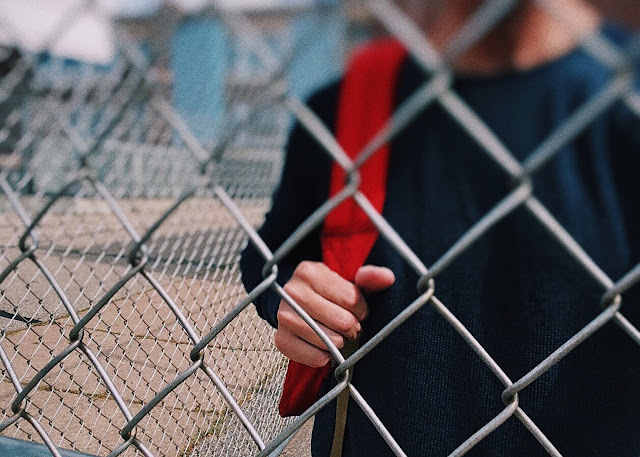 Over half-a-million children will change schools between primary and secondary in England every year, and it is quite a stressful time for parents, and our offspring, as we try to make the best decision for the future of our child. 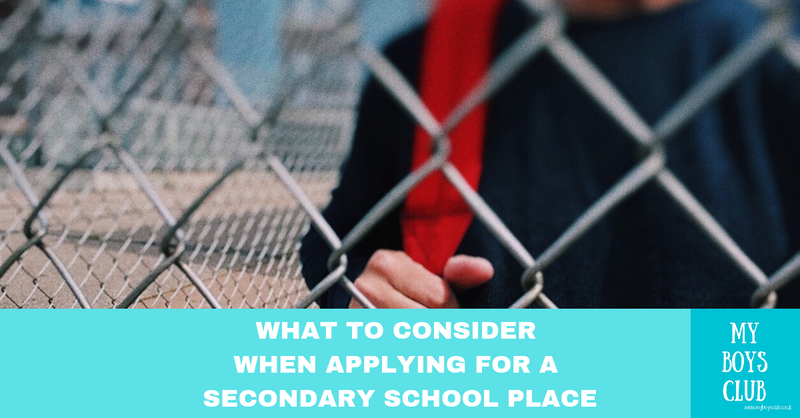 We went through this process last year so I’m sharing our top tips on factors to consider when choosing a secondary school, and I’ve also spoken to other parents for their help too. 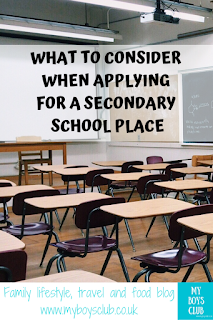 Don’t forget if your child is in Year 6 the deadline to apply for a secondary school place is October 31, 2018. We now live in a city but I grew up in a rural area. When I was a child there was only one school, and you went to the closest local comprehensive unless you attended a private school. Now you are no longer guaranteed a school place at your local school. This is one of the greatest travesties of all time for me. Rather than making parents compete to attend the better schools, I wish we had a government and society that was more focussed on making sure every school was of a high standard, so communities were educated together rather than communities being broken up because people want to be in the ‘right’ catchment area, go to the ‘right’ schools and befriend the ‘right’ types of people. But let’s put politics aside for now. Choosing our Primary School was easy after we visited the first we had decided. 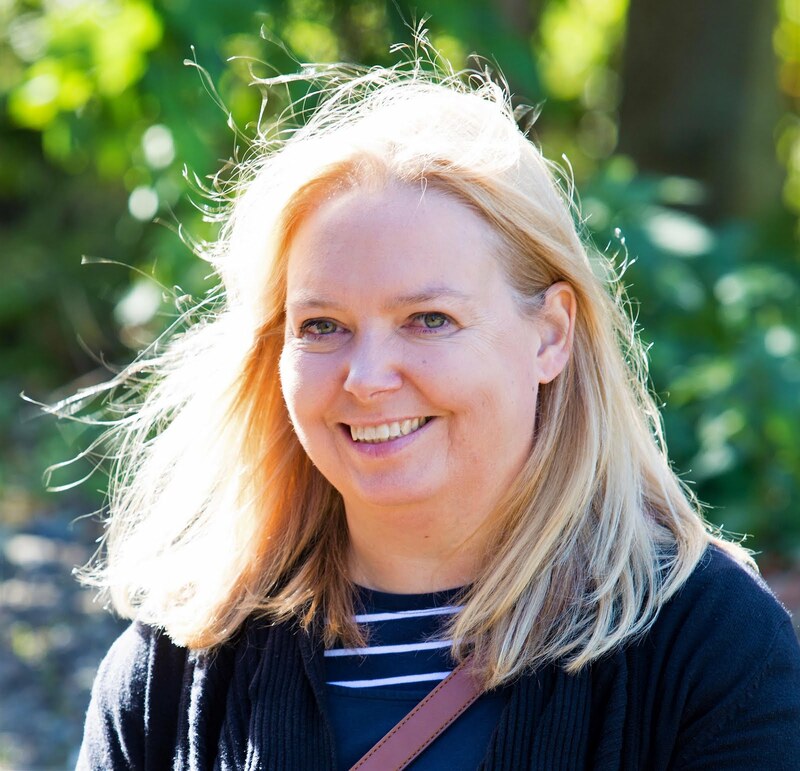 We'd found a head teacher who believed in a rounded education, a focus on arts and culture as well as sport, and who was also willing to meet us as parents and who hadn't stepped foot in a school since we'd left ourselves all those years ago - not things we found at all schools in our area. We couldn't have made a better choice but this year my eldest child has started secondary school. The selection process started over a year ago. We have three secondary schools within a couple of miles of our house and a further heavily over-subscribed Catholic School. Last autumn we started the process of visiting each of the non-religious schools on their open days. 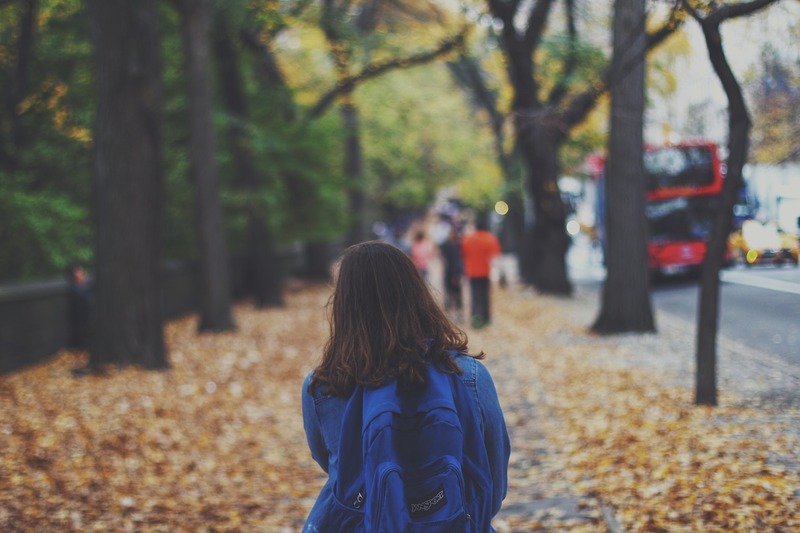 Each has its own positives and negatives but when choosing a school, I truly believe you have to look at your own values and see which school supports those best and also which will be the best for your child. They are all different and for me, it is about understanding in which environment your child will best thrive, not just survive. 1. Location – All three schools are a couple of miles away so how accessible the school is by public transport was important to us. Two of the schools are at opposite ends of the same bus route, however, the third would have been far harder to get too. Our youngest is still at primary school so schools close together would also be easiest for us. Not the deciding factor but one of the things to consider. 2. Friendship groups – My eldest has a strong network of friends, some of whom he’d been with since nursery, and they are all going to to the same school. They may not remain best of friends as they develop their own teenage personalities, new interests and characteristics. But at this stage, it was really important for him to be with his friends. And for me, this also means I’m still with many of my school mum friends too – relationships that are far too often taken for granted. 3. Uniform – Our chosen school has no blazer and no tie, but does have clear uniform guidelines that are strictly enforced. I’m not afraid to admit it but at some of the open days and meetings, I attended I was pretty horrified to hear some parents were more bothered about whether a child could wear leggings to school than the standard of education they were going to receive. 4. 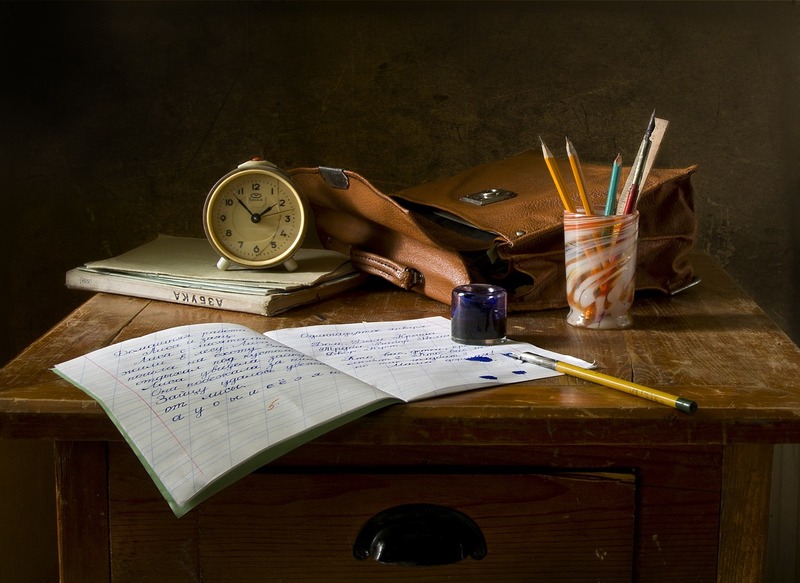 Subject selection – My eldest is really keen on maths, science, and coding and it was great to see all the schools were really strong in this area, however, one of the schools was really indifferent to him when he asked about support for children with their weaker subjects – this didn’t impress him or me. 5. Focus on education – At only one school we visited was the focus of the information about education and academic performance, and how they were continually striving to improve performances for not just the ablest but for every child. Hearing head teachers say that they are the best, without any evidence, and have the best food (not the reason I send my child to school) really did not inspire me. The secondary school, for which our primary is a feeder school, recently was put into special measures after failing an OFSTED inspection. I’m not going to pretend that this hasn’t been a concern. I took my photography A Level there a few years ago as a mature student so I knew the building. But a school is much more than bricks and mortar. I also know teachers at the school. I know parents that already have children at the school. I have friends who went to the school themselves. And I talked to them all and discussed it fully. It has been another avenue to explore and factor to consider. There are many rumors it was a political decision. I don’t know the truth in that but for me, the school my eldest will started at this month has never had so much scrutiny, a new regime and new values are in place, new structures, discipline, and support systems offered. It was the most impressive by far when talking about education, and not just academic success but the all-round development of our young people. 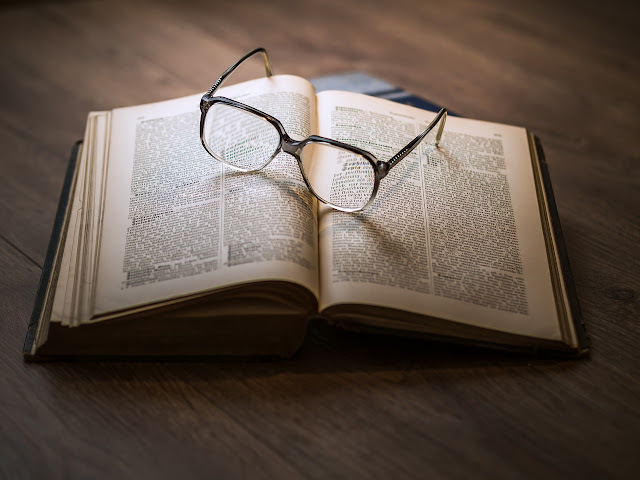 And also the most sought-after school in the area was in special measures itself not that long ago, so for me, the fact that it is in a transition phase is not a huge issue, but I will watch the school’s progress and development, as I will that of other schools in the area. So if your local school is in special measures don’t be put off, think about the positives it could bring that school and consider it as another factor to take into account. 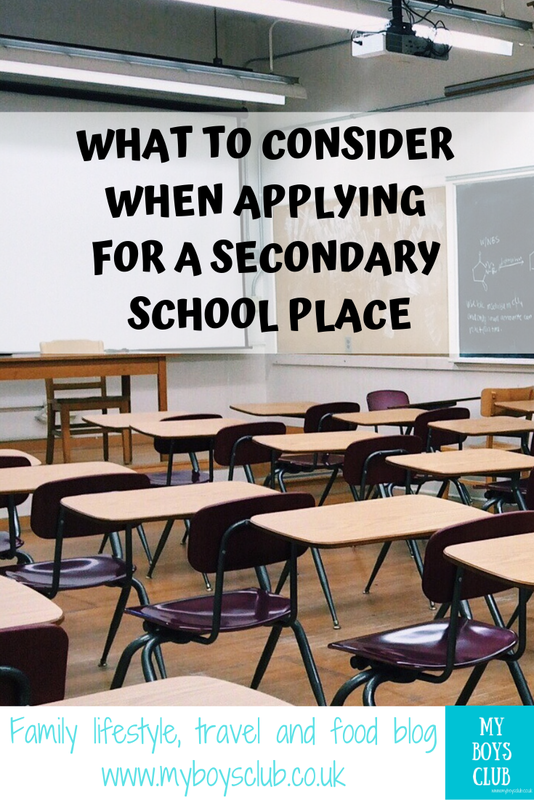 As well as thinking about what had helped me make our decision last year, I also talked to other family bloggers about what was really important for them when choosing a secondary school for their children. Pete “How much parents complain about a school is a good factor to look at. Local Facebook groups are really helpful for this kind of thing. I know people will always complain, but some schools get moaned about far more than others. These groups/posts are also a good indicator of how much bullying goes on. We have one school in our local area that I would not even consider because of the number of complaints”. We chose a school that values diversity, promotes well-being and actively supports all students whether they are the academically gifted all not. The school itself is new, it is very large but appears to manage a large number of children really well. Its facilities are second to none and it is clear about what is expected of both students and parents, as well of themselves. I’m really hopeful about this school and the years my children will spend there. I hope they have a teacher just like my geography teacher was, willing to take risks and question the world and its behaviors, to educate future generations to think for themselves and not be taught what to think. What made you choose your child’s school? Thank you for your contribution which will be a real help for some people. My child visited our 2 local schools in year 5 for a day each to give the child a feel for the school. He liked both but one school he came home just full of beans and enthusiasm - the school his older siblings didn’t attend! So he started at the school that made him so enthusiastic- he is nowin Year 9 and he is absolutely enjoying school! He loves all his lessons and has thrown himself into after school activities! Results wise - he is doing very well. There wasn’t much between the 2 local schools- academic results were roughly the same - it was the method of teaching that differed. One was more akin to a grammar school approach; the other had a more updated technical approach. I was impressed with my son’s headteacher and staff too - their commitment to the children is commendable. So pleased to hear he is loving it still!